Ironically, it is difficult to write a hook sentence for an article about hook sentences. Any grand, overbroad claims would be little more than lies, because, despite what some people will tell you there is no magical formula for writing the perfect hook sentence. You cannot diagram a hook sentence and then substitute in other nouns, verbs, adjectives, and adverbs to craft another hook sentence to fit into a different writing project. Instead, you have to consider multiple factors and then tailor your hook, based on those factors. In this article, we will teach you how to write a hook sentence as well as explore what makes a great one stand out from a standard introductory sentence, how you can incorporate those traits into your own writing, and provide you with examples for essays and other forms of academic writing. The job of a hook sentence is to encourage the reader to continue reading, so a great hook sentence leaves the reader with questions. Below, we have some of the best hook sentence examples from literature, so that you can see how they make the reader ask questions in their head, making them want to continue reading. Immediately, the reader thinks, “what could a boy have done to deserve that name?” It makes you want to continue reading the story to find out about this terrible child. What are you burning? Are you on fire or are you burning something else? Are people in danger? This one sentence makes the reader ask all sorts of questions, almost forcing the reader to continue to find out what, exactly, is being burned. Why does the writer have misgiving? Will this novel reveal secrets? Can I trust the writer? Why doesn’t the writer trust me? All of these questions arise as soon as the reader sees that the writer has misgivings. Tell them what? An example of a deceptively simple hook sentence, this sentence makes us immediately wonder what is so important that the author doesn’t want us sharing it with anyone but God. The tone of it suggests that something bad has happened, but we don’t know whether the bad thing happened to the writer or was done by the writer. So, we need to find out not only what happened, but also who did it. What? That’s the question we immediately ask when we read this sentence, followed quickly by wondering why someone is in the kitchen sink. It just suggests that there must be one heck of a story to explain why and how someone came to be writing in a kitchen sink. What way was this family unhappy? We have to admit, this particular hook sentence appeals to the salacious part of us that wants to hear the gossip that this author is apparently about to share with his readers. This sentence is among the best hook sentences in all of literature and it’s opening phrase “it was a dark and stormy night” has become iconic for its ability to set the scene. Immediately, the audience is transported to the scene, which is very foreboding, and has to wonder what terrible thing is going to happen on such an ominous night? As the above examples make clear, a hook sentence leaves the reader with questions, encouraging them to continue reading to discover the answers. However, it is one thing to know that a good hook sentence leaves the reader with questions; it is another thing entirely to figure out how to craft a sentence that leaves your reader with those questions. Fortunately, we have tips that will help you draft great hook sentences for any type of writing. If you don’t know your audience, then even a great hook sentence that leaves them asking questions might not be enough to get them to continue reading. After all, you don’t want the question they are asking to be, “why does some fool think I would want to read about that?” So, identify your audience. For academic writing, your audience is generally going to be a teacher, a professor, or a teaching assistant. If you are writing an admissions essay or scholarship essay, then your audience is going to be a member of an admissions committee. Sometimes, your writing will be geared towards your peers, which allows you to be more informal in your approach and use more appeals to pop culture. You certainly want to gear the formality of your writing to your audience. Knowing the purpose of your writing is important in writing an effective hook sentence, because your hook must be consistent with the goal of your writing. Are you writing an informative essay about how sexual assaults are treated by the criminal justice system? Then opening with the sexual assault statistic listed above would be an effective hook sentence. It could also work to open up a discussion about the importance of exercising caution when meeting strangers in an essay targeted towards college age women. However, it would be a really awkward hook sentence to use if your essay was about how great it is to use Tinder to find hook ups. So, when you have that great hook sentence that makes you ask all sorts of questions, make sure that your writing will answer those questions. If not, then your hook sentence is not going to work. In fact, while your hook sentence is the first sentence in your paper, we actually suggest writing it last. You can almost approach it like a movie tagline and try to craft that one sentence that gets your reader invested in finding out more about the topic. One of our all-time favorite movie tagline is from the movie The Social Network: “You don’t get to 500 million friends without making a few enemies.” That tagline lets me know that I am going to see a movie that explains how Mark Zuckerberg made enemies while creating Facebook. Likewise, the tagline from the movie Alien, “In space no one can hear you scream,” would have made a great hook sentence for any horror story set in space and immediately reveals the purpose of the movie. So, you may want to approach writing your hook sentence like you would approach writing a movie tagline. You want the hook to provide insight into what is coming next and match its purpose. Along the same lines as considering your purpose, you want to think about the tone you want to convey. Going back to our movie tagline example, let us revisit the tagline “In space no one can hear you scream.” It works beautifully for a horror movie set in space and really effectively conveys how frightening it must be for people who are in space to encounter a problem and know that they are effectively cut off from getting any help. However, it is pretty clear that while the sentence is a very effective hook, it would be completely inappropriate for an essay about the Challenger disaster. So, you want to consider your tone in addition to your purpose. If the topic is a somber one, make sure you keep your tone respectful in your hook sentence. There are a few great hook sentences that are longer, but most great hook sentences are relatively short. You want to capture the reader’s attention without the possibility that the reader will get lost or confused in lengthy sentence. In fact, even some of the most famous longer hook sentences actually make their statement in their first phrase. “It was a dark and stormy night,” is what the reader remembers and could have stood on its own. Likewise, the iconic opening of A Tale of Two Cities is often boiled down to the simple phrase, “It was the best of times, it was the worst of times,” even though Dickens continued that introductory sentence for several more lines. By keeping it brief, you increase the mystery, and thus increase the reader’s motivation to continue reading. While not all hook sentences will be purely descriptive, you do want your hook sentence to set a scene. Therefore, you want to use descriptive words in your hook sentence. Some people mistakenly believe that this means you have to use an almost overwhelming number of adjectives, but that is not true. Instead, you want to use effective adjectives. Go back to the example of “It was a dark and stormy night,” and think about other ways the author could have described the same weather experience. It was raining that night. There was a nighttime thunderstorm. Those sentences give the same information, but they do not transport you, in your mind, back to the last time you were sitting in the dark, watching lightning crack across the sky as buckets of rain fell from the sky. However, the simple phrase does. So, make sure your hook is vivid by making effective use of adjectives and adverbs. Surprising Fact- This type of hook sentence begins your writing by introducing the reader to a surprising or unusual fact about your topic. This is a great place to introduce any startling statistics you may have learned in your research, but do not feel like you have to limit yourself to statistics when using this type of hook. The sum of all the numbers on a roulette wheel is 666, is a great example of a surprising fact that does not use statistics and would make an interesting hook sentence for an argumentative essay that took an anti-gambling position. Simile or Metaphor- Metaphors and similes compare seemingly different things. Similes use “like” or “as” to make the comparison, while metaphors make the same type of comparison without using “like” or “as.” People often think of metaphors as being bolder, because the comparisons are stark, and a metaphor can make a great hook sentence. If you are writing about a relationship that ended in disaster, beginning with the hook “Love is war,” lets the reader know the tone of the writing. However, do not discount the power of a well-written simile. “She looked at him, smiling, with the stretched corners of her lips like tiny flung arrows,” does a great job of catching the reader’s interest, making them wonder why the author is comparing the woman’s smile to weapons. Setting- A hook sentence that focuses on setting appeals to at least one of the five senses and helps the reader visualize the scene. One of our favorite setting hooks is in Gynter Grass’s The Tin Drum, which begins with the line, “Granted: I am an inmate of a mental hospital; my keeper is watching me, he never lets me out of his sight; there’s a peephole in the door, and my keeper’s eye is the shade of brown that can never see through a blue-eyed type like me.” That sentence appeals overtly to the sense of sight, so that the reader not only pictures being in a mental asylum, but also being behind a door and having the constant feeling of being watched, but never understood. It makes the reader want to know why the author is in a mental asylum. Rhetorical Question- Rhetorical questions are a great way to write hook sentences, and the nature of writing, which is a one-way relationship, means that any question you ask your readers will be rhetorical because they cannot answer you. These question are written, not to seek information, but to make a point. Is the sky blue? is a rhetorical question that is often used to express the idea that the answer to someone’s question is an obvious yes. However, it could make a great hook sentence for a paper that describes how the sky is not actually blue and the scientific reasons that human beings perceive it as looking blue. Anecdote- An anecdote is a story and anecdotes can be personal or about another person. When used in a hook sentence, the anecdote will probably only hint at the complete story, but will pique the reader’s curiosity. I was 15 years old when my mother killed my father. That sentence is a type of personal anecdote, revealing very important information about the author, but leaving the reader with questions such as why, what happened to you, did she go to jail, and do you have a relationship with her? A slight modification of the same sentence would serve as a good hook to a biographical essay: Charlize Theron was 15 years old when her mother killed her father. It is a surprising fact, but, more than that, the sentence suggests that there is a significant story behind it and makes the reader want to discover that story. Appeal to Authority- There are several different ways to appeal to authority, but the most common is to use a quote by someone who is regarded as an expert in the area, and use it to open your paper. We have mixed feelings about using the appeal to authority as a hook sentence. On the one hand, it is relatively simple. To find an appropriate hook sentence, just Google “famous quotes about [your topic]” and find one that works with your writing. On the other hand, it can come across as a little lazy, depending on your topic. Dilemma- Beginning your writing with a choice between two equally desirable or undesirable alternatives is a great way to get the reader interested in what comes next. The most famous dilemma in literature may be in the novel Sophie’s Choice, when the titular character, a concentration camp inmate, is forced to choose which of her two children to send to their death. Opening your writing with a similar dilemma is a sure way to catch the reader’s attention, but the choices do not have to be horrific or undesirable; they can also be between two equally desirable alternatives. Definition- The definition hook sentence introduces the topic to the reader and provides a short definition of it. This can be a very effective way to get readers interested in unusual topics, but should be avoided if the definition of the term is already well-known. Advice- This type of hook sentence gives the audience a piece of advice that they will find useful and informative. The advice can be something unusual, that the reader is not likely to know, or it can a more commonplace piece of advice. However, when using advice as a hook sentence, keep in mind that your goal is not to pass on great advice, but to capture the reader’s attention. So, you might want to use advice that is counterintuitive. For example, everyone always talks about how forgiveness is an important element of happiness, so try shocking your readers with a sentence that turns that wisdom on its ear: Hold onto hate; it will motivate you like nothing else can. Hopefully, this article has taught you how to write effective and amazing hook sentences. Remember to write them last, so that you know your audience, your topic, and your tone. Keep them brief, so you keep the reader interested. Finally, don’t shy away from using bold words; the more vivid the sentence, the more likely you are to engage the reader. Lewis, C.S. (1952). The Voyage of the Dawn Treader. ? Eugenides, J. (2002). Middlesex. ? Bradbury, R. (1953). Fahrenheit 451. ? Maugham, W.S. (1944). The Razor’s Edge. ? Walker, A. (1982). The Color Purple. ? Smith, D. (1948). I Capture the Castle. ? Tolstoy, L. (1877). Anna Karenina. ? Bulwer-Lytton. (1830). Paul Clifford. ? RAINN. (2017). The Criminal Justice System: Statistics. Retrieved April 18, 2017 from RAINN website: https://www.rainn.org/statistics/criminal-justice-system ? Short List. (2017). The 40 Greatest Movie Taglines Ever. Retrieved April 18, 2017 from the Short List website: http://www.shortlist.com/entertainment/films/the-40-greatest-movie-taglines-ever#gallery-1 ? Dickens, C. (1859). A Tale of Two Cities. ? Wikipedia. (2017). Roulette. Retrieved April 18, 2017 from Wikipedia website: https://en.wikipedia.org/wiki/Roulette ? Lewis, S. (1925). Arrowsmith. ? Grass, G. (1959). The Tin Drum. ? Manville, B. (1962). Breaking Up. ? Styron, W. (1979). Sophie’s Choice.Opening ? "How to Write a Hook Sentence." Aceyourpaper.com. Student Network Resources Inc, 18 April. 2017. Web. 18 April 2019. Student Network Resources Inc. "How to Write a Hook Sentence." Aceyourpaper.com. 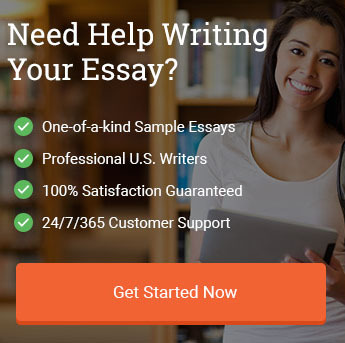 https://www.aceyourpaper.com/essay-writing/hook-sentence/ (accessed April 18, 2019).